Having disposable income almost always means making impossible decisions when you’re a gamer. Games release at such a rapid rate that the average person can’t keep up with them all. Throw in the fact that there are sales year round and it becomes a test of your patience. Do I buy something I really want now, or do I wait a few months for it to go on sale? I’ve come to accept that I’d rather get a game on sale a few months (sometimes years) after the fact to save a few bucks. That or just buy a handful of full priced indies and have too many games to play all at once. Still, when I do have some cash to throw at my gaming habit, I typically agonize over what to purchase and I went through that same ordeal a few days ago. I decided I’d spend $40. I was deliberating between picking up several indie games or dropping the whole $40 on The Crew plus the Wild Run expansion. Part of the problem was knowing that the Steam Winter Sale is coming very soon, and it’s likely that some of these games would end up being discounted. Patience isn’t my strong suit, and I didn’t see myself waiting two weeks with that money burning a hole in my pocket, so I pulled the trigger on The Crew. For a few months now I had been craving a racing experience. The last racing game I had played was Gran Turismo 5, which was a few years back. I had browsed the racing section on Steam, but wasn’t familiar with any of the titles as I have been removed from the genre for some time. It’s hard to blindly pick something, so I started looking around for reviews and video of various titles but never could decide what series would be best played on the PC (I had only played racers on consoles to this point). It wasn’t until I ran across a review by MrLuvvaLuvva that I gave The Crew any thought. 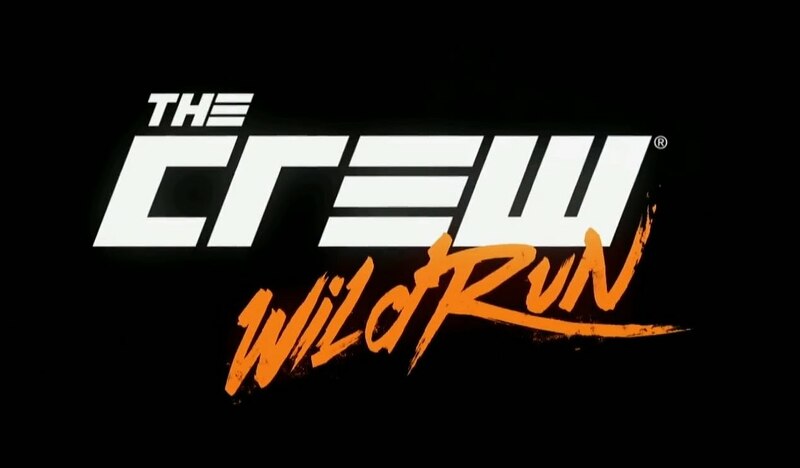 It turns out that The Crew managed to meet and exceed my expectations, and can be most closely compared to Need For Speed Underground 2, which is one of my favorite racing games of all time. The Crew labels itself an MMO, and though I can see why some comparisons could be made, I wouldn’t call it one. The world persists, sure, but not in any meaningful way. There can be a massive amount of players in the world at any given time, but you’ll only see the eight closest players to you on your UI, unless they are part of your crew, which is the same thing as a party/group. Pictured above is the world map, which is a rough approximation of the continental US. Each of those little squares is a player, so you can see how many people are actually playing once you log in. Honestly, the population is kind of small, but you could effectively play this game solo and not have any issues, though I’ve been in random crews and had fun with that as well. From what I’ve read/heard, the game had a bunch of issues when it released, and people complained about the control scheme and physics. Wild Run brought a slew of tweaks and fixes and it appears very solid from my ten hours in the game. I don’t have a problem with the controls at all, but I am using a controller, because I can’t imagine playing a racing game without one. Progression has an MMO feel to it, in that your account has a level, and you gain experience by completing missions, which can include a variety of different modes. Wild Run also added in skill challenges littered about the map that you can tackle at your leisure. There’s also the Summit, PvP modes, and various races based on what kind of vehicle spec you have. Exploration is rewarded with experience when you find landmarks, and you can also find hidden car parts to build special cars not available at dealers. Tuner parts are also rewarded from leveling up and completing missions/challenges, and those improve your car’s level. There are also perk points that you earn when leveling up, which you can spend at the garage on various across-the-board upgrades for your account. It seems that the parts you earn throughout the game can be applied to any car you own, provided you are high enough account level to use it, and provided it’s actually an upgrade for that vehicle. When your account reaches certain levels, you can then buy different specs for your cars, effectively making them into something entirely different, despite still being the same model vehicle. For example, I bought a Nissan 370 Z for my initial purchase when starting up the game. Later, I earned the “sport” spec for the vehicle, and that increased its level significantly. Later still, I unlocked the “dirt” spec, allowing for better speed and handling on dirt tracks. There are also “performance” and “raid” specs unlocked at higher levels, and with Wild Run there are “extreme” specs as well. Monster trucks, drift and drag specs, along with motorcycles were all added in the expansion. I picked up the drag spec for my Z, and that made a world of difference in a straight line, but boy you don’t want to turn in that thing. I’ve also picked up a Subaru BRZ once I reached a certain level and was given a bunch of the crew credits which are also purchasable via RMT. The in-game currency of “bucks” are what you’ll be earning and using most of the time to customize your rides, but some cars are only available for cash, as they were part of the season pass which only included a bunch of car packs. I’ve not found the need to purchase those, but I might in the future, who knows. The story is somewhat laughable, but that’s to be expected from a racing game. If you like The Fast and The Furious movies, then you’ll probably love this storyline. Me, I’m just in it for the racing. Basically you’re a street racer who got busted and spent some time in jail. Upon release you’re thrust into pretending to be a street racer while actually working for the government/police (not sure which, I really haven’t paid too much attention). So you’re a street racer pretending to be a cop pretending to be a street racer. Inception. 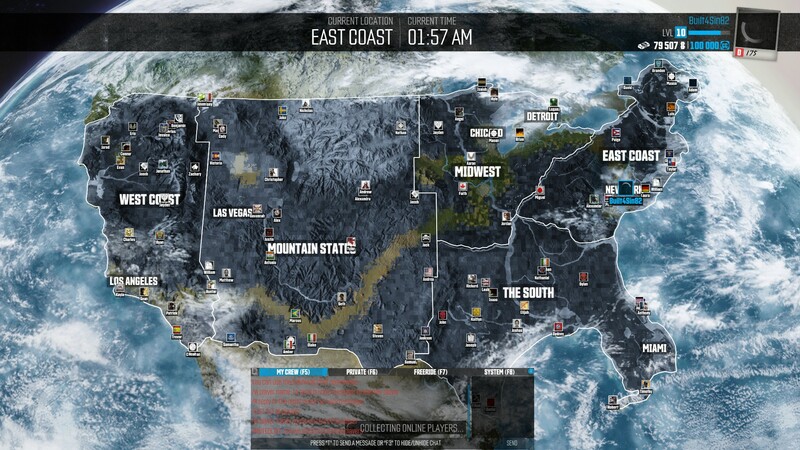 Either way, it serves its purpose of showing you around the map and taking you to all the major cities. It explains various modes and functions, and like I said, you earn some goodies along the way. Overall I really have been enjoying the game. My first day in I played a mission or two and then drove from Detroit to California just to see if it would look how I would expect, being a resident of the state and all. Day two I concentrated on missions. Day three I was invited to a crew and played with that guy twice now, and it’s been fun playing co-op and randomly causing havoc across the map. I know I’ve barely scratched the surface of all there is to do in this game, and I can’t wait to see more. It’s enthralling.